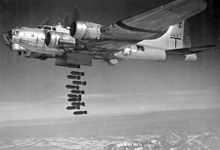 In more than two months of combat, the group delivered more than 111 tons of bombs on German targets. Demobilized in France on 17 January 1919. 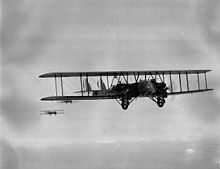 Following a devastating crash of the prototype Model 299 in 1935, the group received, on 4 March 1937, the first of 12 B-17 Flying Fortresses delivered to the U.S. Army Air Corps. In response to concerns for the safety of flying the new machine, the pilots of 2d group (including Robert Olds, Robert Travis, Gerald Williams, and Curtis LeMay) developed what would become the modern preflight checklists. In February 1938, a goodwill tour to Argentina by six B-17s, (pilots including Olds, Williams, and LeMay), and a flight to Colombia by three B-17s in August of the same year highlighted the late 1930s. The trip to Buenos Aires represented the longest distance performance of its kind on record and won the group the Mackay Trophy in 1938. A second MacKay trophy was won in February of the following year when a crew flew medical supplies aboard the XB-15 to Chile following a catastrophic earthquake. Trained for global conventional bombardment missions as well as maintaining nuclear operational readiness. Briefly controlled the wing's air refueling mission until it transferred to Air Mobility Command. Provided combat crew training for all USAF B-52 aircrews, beginning November 1994. In response to Saddam Hussein's attacks against the Kurdish minority in northern Iraq, aircrews of the 96th Bomb Sq deployed and launched attacks against military targets in Iraq in September 1996, actions for which the aircrews received the Mackay trophy as the most meritorious flight of 1996. Continued to deploy aircraft and personnel to southwest Asia to support the Allied watch on the southern and northern "no-fly" zones in Iraq. Flew combat missions against targets in Iraq, 17–18 December 1998, in response to Iraq's refusal to allow UN weapons inspectors to continue work. Flew combat missions against targets in Yugoslavia, 24 March – 9 June 1999, in support of NATO Operation Allied Force. In October 1999 began deploying personnel in support of aerospace expeditionary forces worldwide and maintaining on-call elements at home. Colonel James Kowalski was the Commander of the 2nd Operations Group when they deployed B-52s for combat during operations Noble Anvil and Allied Force from May 1999 - December 2000. ^ a b c d e f Series "C", Volume 14, History of the 1st Day Bombardment Group. Gorrell's History of the American Expeditionary Forces Air Service, 1917–1919, National Archives, Washington, D.C.
^ Maurer says soon after Armistice was signed, but 11th and 20th stay in Maulan until 17 January, 96th leaving a few days earlier - 166th transferred to Third Army in Dec.
Wikimedia Commons has media related to 2d Bombardment Group.